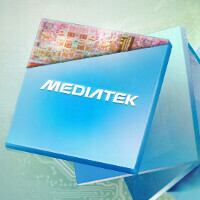 Earlier this month, there was talk about a new octa-core chip coming from MediaTek. On Saturday morning, the company announced the world's first true octa-core processor. Now you might be wondering about the Samsung Exynos 5 octa-core processor. But as you might recall, with that chip, only one group of four cores is active at a time. With the new processor introduced by MediaTek, all eight cores are active at the same time, leading to smoother game playing, web browsing, improved video playback, and improved battery consumption. MediaTek says that all 8 cores can be used without overheating. We told you earlier this month that the chip scored around 30,000 on AnTuTu which is what top-shelf models are tallying on the benchmark site these days. Clock speed ranges from 1.7GHz to 2GHz with video decoding of 1080p at 30fps. Let's face it, if Samsung had its name on the silicon instead of MediaTek, even the Vatican would be placing a call to Korea, congratulating Samsung for the achievement. As it is, MediaTek is becoming known, but for selling low priced chips to phone manufacturers trying to compete in emerging markets. By purchasing chips from MediaTek instead of Qualcomm, handset makers are saving big money. The reason why MediaTek can sell chips for such a low price is because it does not own a fab that needs to be maintained. The company already has a better than 50% market share for low and mid-range chips for mobile phones and with the octa-core MT6592 leading the way, the company could soon overtake Qualcomm to become the largest handset chip maker. The big thing for MediaTek is to get some major OEMs, the ones that normally wouldn't touch a MediaTek chip for a top-shelf model, to give the MT6592 a shot before other chipmakers start offering a true octa-core processor of their own. The MediaTek chip is being sent out to potential customers now for them to sample, with mass production scheduled in November. Mediatek needs to start supporting penta band and lte then these would have a chance in the US. Take this Mediatek:- Source:https://mobile.twitter.com/sonicadvance1/status/359574815063027712 "The (Exynos 5 Octa) 5420 can use any combination of the eight CPU cores at a time." Source:http://forum.xda-developers.com/showthread.php?p=43728624 "The to-be-announced new processor is the 5420, it's not a new revision of the 5410. It has the same target clocks as the 5410 but with a properly working CCI to be able to use GTS, and the GPU is replaced with a new generation Mali T62X instead of the SGX 544. It also has some other miscellaneous updates like VP9 encoder/decoder. It'll debut in the new Chromebook this fall." GTS=Global Task Switching=5420 can use all 8 cores at the same time. Mediatek may have been the first to announce a "true" Octa Core. But they won't be the first one to ship it or the fastest one. I am glad Samsung is finally back in action. Now I just hope Samsung gets GTS working before Key Lime Pie is released. I don't think so. Both rely on Cortex A7s for low power operation. If you compare battery life whiile gaming. Yes, Exynos Octa wil lose. But it will deliver a far better experience since 5420's GPU beats iPad 4's and Tegra 4's GPU. fx 8350 has 8 cores. Also per core performance is much more important than the amount of cores. This thing is worse than a core 2 duo so no I doubt its anywhere close to your computer. The FX 8xxx / 9xxx isn't 8 core at all its 4 modules but uses a similar technology like hyperthread from Intel. AMD calls it 8 core for advertising term and marketing. I have the i9500 and I have disabled the A15, the 4 A7 cores perform well close to an A9 at 1.2Ghz as well. These A7 are clocked at 1.7Ghz - 2.0Ghz so they just perform just as well but better. That was a big mistake by Samsung clocking those cores at 1.2GHZ instead of 1.7, 2.0GHZ. Or else it would'ev not been a failure! Its a lot closer to a real 8 core than the i7s. The 100% "real" desktop 8 core will be out from intel next year. Haswell-enthusiast should be 8 cores with 16 threads, have 6gbps faster sata ports and ddr4 memory. Will run you about $600 for the cpu and $300ish for a good socket 2011 board. That's a 8 core A7 SOC. Practically useless as no app is multi-threaded to such extent. Most browsers are still largely single threaded. No, it doesn't help at all in games, as games largely depend in GPU. It's a gimmick. I wonder to what extent MediaTek is benefitting from the Chinese govt's hacking campaign? 8 cores from out of almost no where? With no logical design progression (2 cores from a design license with ARM to 4 cores to 8 cores, for example)? I suspect this is going to be quite the developing story for 2014 and beyond. This deserves to be really called an octacore unlike the Exynos which should be called as a 4+4. Big.little is a marketing scheme, most people that are not into tech but know enough about phone specs think the exynos 5 is an 8 core cpu. Sony and LG will use mediatek chipset for entry level and midrange phone, and it will be cheaper than other mid range phone with Qualcomm or Exynos chipset. Having 8 A7's is much better in terms of efficiency per unit area of the chip. For eg. On the Exynos Octa the combined area of all 8 cores is 23 mm^2 (19 mm^2 for A15s + 4 mm^2 for A7s) whereas on the Mediatek the combined area of all 8 cores will be around 8 mm^2. So there will be cost savings in that regard.